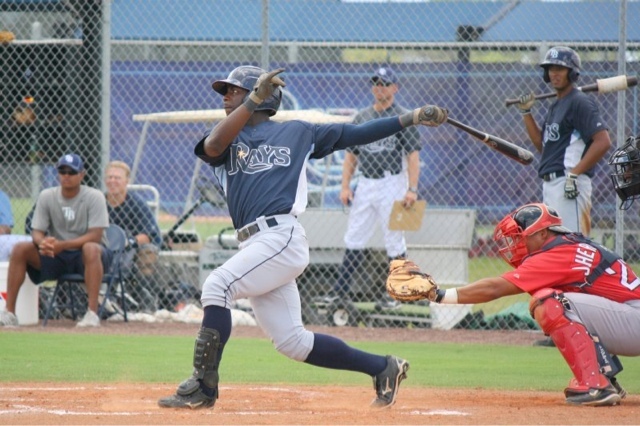 Renegades outfielder Deshun Dixon has been suspended for 50 games violating the MLB drug policy. This was Dixon's second violation of the policy. 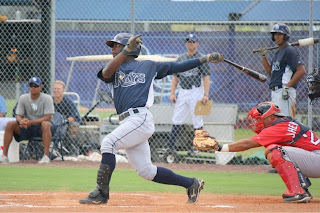 Dixon was drafted by the Rays in the tenth round of the 2010 draft. Release him and write off the $125 K bonus. He has not hit at three different levels. In other words don't send him to B.G. next year. It did not specifically say. MiLB article is referring to it as a "drug of abuse" which points towards recreational narcotics. The policy defines a drug of abuse as any drug defined as a schedule II substance under the Controlled Substance Act. These include but are not limited to THC, marijuana, cocaine, LSD, oxycodone, heroin, codeine, morphine, ecstacy, GHB and PCP. Paul aka Glaesmann guy here. Is he moving into anyone's top 10 yet? Luke Scott must be impressed. HR is last 3 games and 4 hr in last seven. I had a chance to watch Todd play last night in Bradenton for the first time in a regular season game. I was very impressed, he certainly got my attention. Such power in a what is usually a pitcher's league. Yeah, when I did my road trip to Bowling Green a couple months ago I really hadn't watched MILB tv or seen the players before. He and Sale went back to back but Glaesmann hit everything so hard. I saw him at Charlotte for his first game and even with poor contact, the ball goes so far. I was in Brad. a couple nights ago but missed his first inning home run. Really like McKechnie, way more cozy than Charlotte. McKechnie is a great ballpark. Very vintage feel. It is a short drive from my wife's work so its handy to go to games there from time to time. I don't think there is a bad seat in the house, everything seems close to the action. Plus the ticket prices are much more reasonable. We both got in for almost as much as one ticket for the Stone Crabs.